Mollies is happy to announce that we will be hosting internationally acclaimed pianist Rami Bar-Niv at a free concert recital on Wednesday 7th September 2011 at 6.30pm. 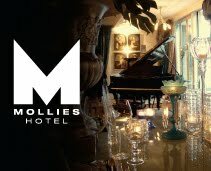 Contact us on e: reception@mollies.co.nz or phone: 09 3763489 to make bookings. 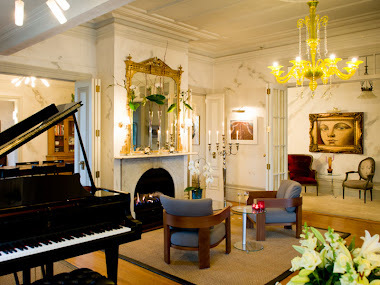 A cash bar will operate and the Mollies Restaurant will be available for dinner bookings after the recital. Rami Bar-Niv is one of Israel's most acclaimed and sought after pianists. He travels extensively and has become an international citizen, concertizing all over the world. Born in Tel-Aviv, he graduated with honors from the Rubin Academy of Music, and was the recipient of many prizes and scholarships. He won the America-Israel Cultural Foundation Competition and was awarded a scholarship to further his studies in the United States. After graduating from the Mannes College of Music in New York, where he studied with the renowned Mme. 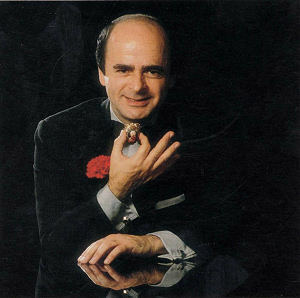 Nadia Reisenberg, he won numerous competitions and embarked on a highly successful concert career. Ever since, he performs regularly in North, Central and South America, Europe, Africa, Australia and of course Israel, where he recently received the best performer award. He appears on TV and radio, in chamber ensembles, solo recitals, and as a soloist with orchestras, and is always received with great enthusiasm. Often sent abroad by the Foreign Ministry to represent Israel in concerts, he has become an ambassador or goodwill for Israel. His recordings for CBS and other labels in Israel and abroad have met with praise and popularity. Rami Bar-Niv offers music of great variety and contrast in style, and is an extremely versatile performer. Busy with a concert career, Rami started devoting more time to composing later in life. He studied composition with Israel's foremost composers, amongst them Paul Ben-Haim, Alexander Uriyah Boskovich, Abel Ehrlich, Yehoshua Lakner and Oedoen Partos. His compositions are published, recorded and performed world wide.